Springtime is the start of warmer weather, open windows, longer days, and the realization that a lot of mess has piled up during the winter. You know what that means: it’s time for spring cleaning. 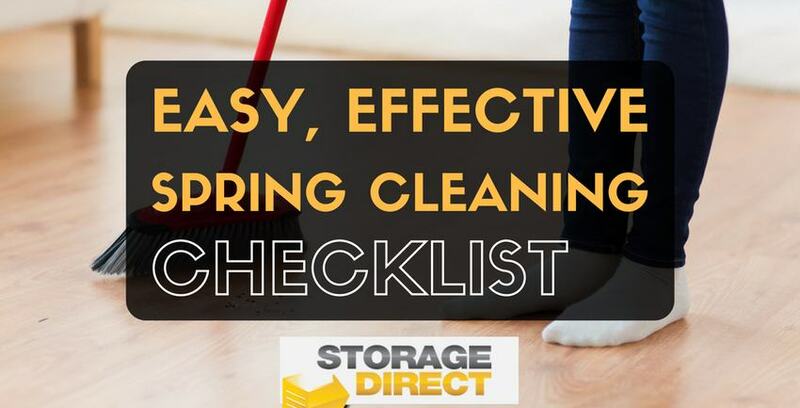 The idea of spring cleaning may not be especially appealing to you (or anyone), but with some help from this checklist and a little bit of motivation, it’ll be done – and your home will be looking great – in no time. Checking these twenty-five items off of this spring cleaning list will make a huge difference, not only in the way your home looks, but the way it feels as well. When you’re in the middle of cleaning your home this spring, it’s likely you’ll find a lot of things you forgot you had over the course of the winter. Once you’ve gone through your cleaning and decided what you want to donate and what you want to keep, consider getting a storage unit for what’s left over so you can hold on to the things you love while maintaining your home’s cleanliness. Win-win! Happy cleaning.